Valentine’s Day is almost here. Don’t forget to share appeciation with your child’s teachers. All cards in the collection are available as either digital files (to print at home) or printed cards (personalized and shipped to your mailbox). Teachers love to receive gift cards. 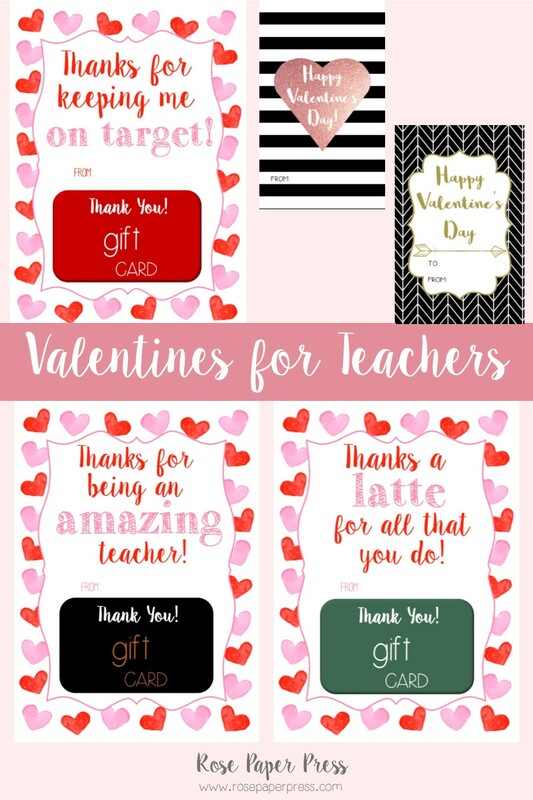 Choose from fun heart-themed gift card holders for Target, Coffee, or Amazon for a gift teachers will absolutely love and appreciate. You could also share a modern Valentine’s Day card. Attach a piece of candy to the Rose Gold or Herringbone cards. 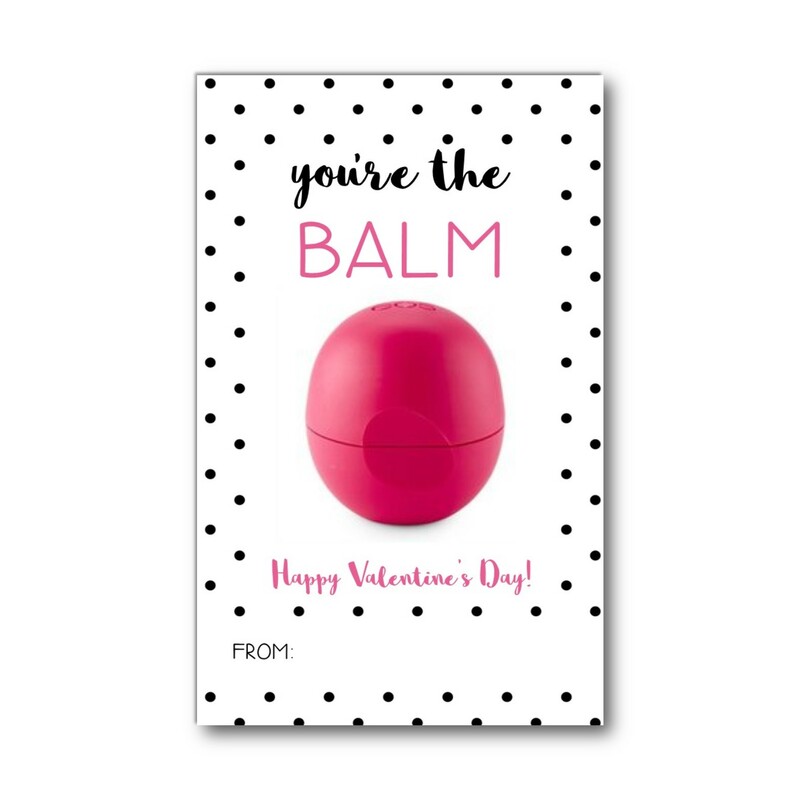 Or, attach chapstick to the Lip Balm cards. Really want to make your teacher’s day? 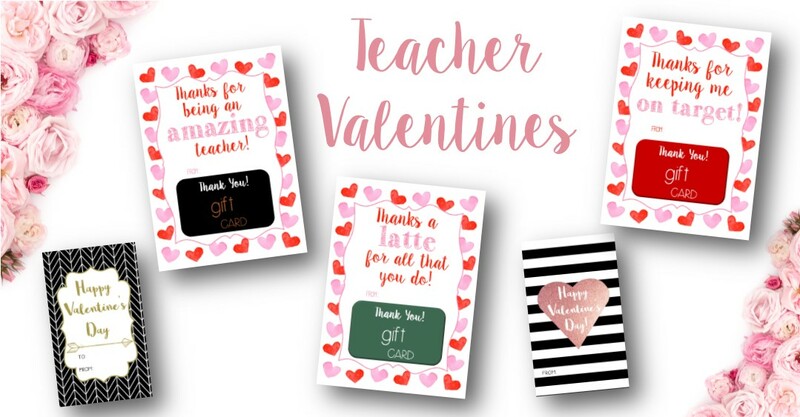 Write a handwritten note on the back expressing your gratitude for all your teacher does.